There are just some things that don’t go out of style. Here in Milan you can find it all! There are several vintage, second-hand and consignment shops where you can find the perfect timeless dress or accessory. You can also find many collector items and vintage style furniture and home accessories. There are just some things that don’t go out of style. Is your taste for the kitsch collectables and memorabilia of the 1950’s, or the 1960’s elegance of Audrey Hepburn and Jackie O.’s timeless sophistication? Or do you identify with the subversive British 1970’s punk style of Vivienne Westwood, or the bizarre, eccentric 1980’s style of David Bowie and Boy George’s Culture Club? How about the powerful, extravagant statements made by Versace throughout our time? And let’s not forget about the ever stylish designs from the Italian fashion houses of Lanvin, Gucci and Valentino. Here in Milan you can find it all! There are several vintage,second-hand and consignment shops where you can find the perfect timeless dress or accessory. You can also find many collector items and vintage style furniture and home accessories. If you are just looking for “the look” there are also a number of boutiques and shops that hold new items that imitate the divas of the past. Centrally located at 2 minutes walk from the Duomo, Humana Vintage stocks a range of original Italian clothing from the 60s, 70s and 80s for women and men at affordable prices. A sizable collection of leather and curious/unique accessories can be found, including bags, hats, shoes, scarves and ties, costume jewellery, textiles and various objects of interest. For those who have a bent towards brands, Humana Vintage also stocks a small collection of second-hand designer labels. In essence, there should be something to cater for everyone, whether it be everyday wear, something a little offbeat for costumes or even a vintage wedding dress! By shopping at Humana Vintage you will be directly supporting the funding of Humana People to People (HPP)international development projects in Mozambique, Africa. HPP has more than 30 years experience working in Southern Africa in the fight against poverty and HIV/AIDS. If you are interested in finding out more, or even in volunteering in Africa, India or China, visit www.humanaitalia.org or www.humana.org for more information. Great for men’s wear and handmade clothing. You will find high fashion designs by Callot Soer, Vionnet, Chanel, Pucci, Saint Laurent, Courrège, accessories by Roberta di Camerino, Gucci, Hermes as well as shoes, scarves and ties. Here you can find the un-findable accessories; bags, costume jewellery, shoes and, yes of course clothing. 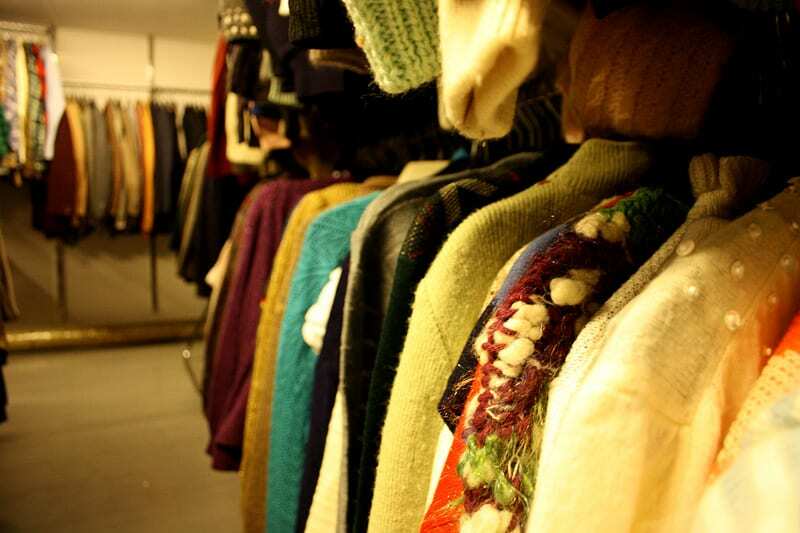 You will find vintage clothing and accessories as well as fabrics and textiles for upholstery. Well known for it’s fantastic plastic, Kartel’s classic modern designs brighten up any room and are matched well with original pieces from the 60’s and 70’s. Want the vintage look but don’t want to fix the vintage wiring or electronics? Check out the Alessi new Kitchen Aid toaster. Antique market on the Naviglio Grande canal which takes place every last Sunday of the month (not in July or August). Here you will find interesting items antique and not so antique. The streets of the canal are lined with boutiques, artist’s studios and places to eat.